It is almost an habitual reaction. When someone hands you a glass of wine it is inevitable that the first thing you will do is swirl the wine in the glass and take a sniff. The better the glass the more likely you are to detect a range of aromas coming from the wine – this is why Zalto glasses have become so popular because they are specially designed to improve both the aroma and the flavour of the wine. So why do we swirl the wine around? The reason is that the aromas come from volatile compounds within the wine and volatile compounds are released as vapour through the swirling action. The resultant vapour impacts on our aroma receptors and creates a signal that is transmitted to the brain where that signal is interpreted. And this is where some of the big questions need to be asked. Do we all detect the same aromas in a particular wine? What role does memory play in detecting aromas? Does everyone have the same acuity in detecting aromas? Are there aromas that turn some people off a wine and yet cause others to like it? It is answers to questions such as these that are central to the long running debate over natural versus conventional wines. Wine tasters who have long been sniffing and slurping their Burgs, Barossas and Barolos have come to expect a certain range of aromas and flavours in their wine and are puzzled about the hordes of people who are seeking different flavours and aromas and textures in their wine. This article was prompted by a very pleasant dinner we had recently with a friend who is heavily into traditional wines from areas such as Burgundy, Bordeaux and Champagne but has had little exposure to natural wines. When we progressed to a Domaine Belluard Vin de Savoie Le Feu 2009 it got interesting. This amazing wine from high in the old glacial valley near the village of Ayse is picked from vines that thrive in iron-rich, morainal soils in perfect terroir. The grapes used to make this wine were the indigenous variety called Gringet which DNA testing organised by Dominique Belluard shows that it is unrelated to any other known grape variety. Our friend sniffed the wine, then sniffed it again and then again. He was perplexed. He said that he had no vocab to describe what he was smelling – and this from someone who is used to describing Burgundian wines in detail. He couldn’t use the aroma to guess where the wine came from which he found quite disturbing. So, that got us thinking about how aromas are detected by our brain and how those memories are organised and catalogued and the link between aromas and a way to describe and classify them. How do aromas penetrate the brain? The first port of call for our aroma compounds is the aroma receptor in our nasal cavity. The receptor is called the olfactory epithelium and contains sensors mounted on tiny strands called cilia. These sensors are capable of combining with specific volatile aroma compounds from the wine. This is quite complicated because specific sensors are designed to combine with specific aroma compounds. We know this from work carried out by Axel and Buck which won them a Nobel Prize. Because a given sensor can combine with many different volatile compounds it means that the human brain is capable of detecting more than a trillion different aromas, sometimes at very low concentrations, as low as 1 part per trillion. But here is where it gets even more interesting. 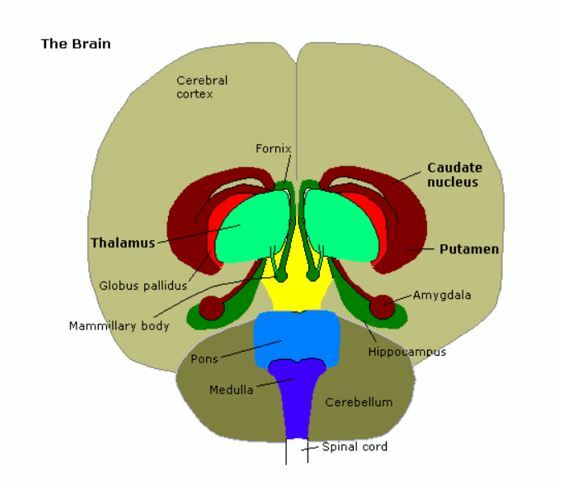 Recent research has shown that the signals may be modulated by the thalamus before they reach the cortex region of the brain. They are also sent to the hippocampus regions of the brain as well. These regions are responsible for long term memory. And so we now have a reason for a phenomenon that we constantly see at wine tastings. People will often sniff a wine and almost immediately start talking about a childhood memory. They will associate the aroma of the wine with something from their grandmother’s cupboard or a school pencil box or an aroma associated with a pet or the aroma of something they used to eat or smell in a forest or a park. This is because up until it reaches the brain the data generated by the compounds are fixed and scientifically verifiable – they are specific compounds or nerve signals. However once these signals are interpreted by the brain it becomes subjective and the memory areas of the brain start to suggest aromas based on the most vivid memories. One friend who is Sri Lankan by birth has strong memories of curries she ate as a child and exclaims “curry leaf” whenever she sniffs a wine with the compound sotolon in it because it is one of the active ingredients of both curry leaf and fenugreek, both widely used in curries. This is why people come up with different suggestions for aromas because it is arbitrated by brains with differing experiences. What are the aroma compounds and where do they come from? Those aroma compounds generated through the maturation processes that occur in the bottle – these are called tertiary aromas. We will address these three in order. The primary aromas are very interesting mainly due to the lack of them rather than anything else. For most grape varieties, the aromas coming from the juice of the grape are difficult to distinguish between one grape variety and another – most grape juice is fairly boring in an olfactory sense which is obviously why fermented grape juice is more exciting. Many of the aromatic compounds found in wine are created during the fermentation processes. There are some exceptions to this such as the various varieties of the Muscat grape which has the same floral aromatic compounds in the skin of the grape as is found in the wine. 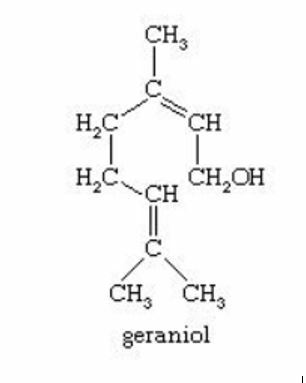 These compounds are monoterpenes (C10H18O) such as geraniol and nerol which develop in the grape skin when the grapes are exposed to reasonable amounts of sunlight. This probably explains the intense floral aroma in the Petit Gimios Muscat wines from near Saint-Jean-de-Minervois in the Languedoc where there is lots of sunshine. Of course, since the compounds are stored in the skin much will be lost by directly pressing the grapes. However, extended skin contact with Muscat grapes can lead to an overpowering floral character. Another good example of a primary aroma is the presence of the sesquiterpene (C15H24) compound Rotundone in grapes such as Grüner Veltliner, Vespolina and Syrah. As we have written about before, this is the same aromatic compound found in black pepper and is the compound that gives Syrah its distinctive peppery aroma. The secondary aromas come from the fermentation process and from the interactions with wooden barrels during maturation. The aroma compounds produced vary significantly between natural fermentation and fermentation with commercial yeasts. One of the reasons why we do not like to see wines fermented with commercial yeasts is that they are designed to add flavours to the wine. Thus the tropical fruit flavours that are found in many of the New Zealand Sauvignon Blanc wines come from the yeasts selected rather than the grapes. “While the ‘green’ characters in Sauvignon Blanc wines can be manipulated through vineyard management, the ‘tropical fruity’ characters appear to be largely dependent on the wine yeast strain used during fermentation”. This is because the yeasts produce the volatile thiol compounds associated with those tropical fruit aromas. With natural fermentation there are up to thirty strains of yeast that might be on the grapes depending on the terroir. Each of these yeast strains naturally contributes different aroma compounds to the wine. The other type of secondary aroma refers to those aroma compounds that are generated as a result of maturation in barrels or tanks. We prefer to see wines matured in old wooden barrels that have had the most strident of the compounds leached out of them, however there are many wines that are matured in new oak and there are many wine lovers who just love that taste of oak compounds! We don’t. One of the most common compounds is vanillin which is extracted from the wood. There is also a group of compounds known colloquially as oak lactones which give those easily detectable sweet, toasted and coconut aromas. Tertiary aromas come into play once the wine is bottled and there is little oxygen left in the bottle to create oxidative characteristics. There are quite a few aroma compounds that we discussed in the previous section. We are now going to group them into some broad categories and try to assign some characteristics to them. Possibly the group that most people have experienced but might not know the name of is the group of pyrazine compounds (C4H4N2) that exhibit herbal or vegetable aromas. This is the one that is usually experienced when smelling Sauvignon Blanc and detecting grassy aromas or Cabernet Franc with its characteristic capsicum aroma. Sometimes in these wines the pyrazines have more of an asparagus aroma. The pyrazine compound is also detected in Merlot and Cabernet Sauvignon since they both have Cabernet Franc as a parent. We have already discussed terpenes which can have aromas ranging from pine tree resin through to tropical lychee aromas. Another compound group is that of thiols which in low concentrations add pleasant fruit-like aromas to wine. It is a thiol compound that gives good Colombard wines like Dominique Andiran’s Vain de Rû hints of citrus and that gives the blackcurrant notes to Ivo Ferreira’s Domaine l’Escarpolette L’Enchanteur which is made from very old vines of Merlot. And we should also mention esters. These are the compounds that provide the “fruity” aromas in some wines. Esters are only present in grapes in low concentrations with most being produced during fermentation. Some esters are volatile and hence contribute to the aromas and some are non-volatile and therefore influence flavour. The way in which we detect the aromas in a wine are quite complex and the scientific knowledge in this area is still evolving. In the next part of this article which we will publish in the next newsletter we will examine the even more complicated sense of taste and show that when the brain processes tastes it also combines the information it has about the aromas with the information from the taste receptors. We will also try to explain that what is delicious to some people is not delicious to others by examining why we can no longer enjoy wines with heavy new oak influence or too many added sulphites, but how we do enjoy orange wines and oxidative wines that are spurned by others. McGee, Harold, Perception vs Reality. Perception is its own reality when you’re eating. Lucky Peach. May 6, 2016. Some people have around 450 sensors while for others it may rise into the thousands. We have only a few taste receptors, however. Buck, L & Axel, R (1991) A novel multigene family may encode odorant receptors: a molecular basis for odor recognition. Cell April 5.65, pp 175-87. Monoterpenes are also emitted by forests and act as aerosols which help clouds to form and increase their brightness thus reflecting incoming sunlight and cooling the climate! Hence the more forests, the better it is for the climate.